Herbal Exfoliating Facial Apricot Scrub is formulated with natural Apricot Oil Powder , it superfine granules tenderly removes dead skin cell other impurities and Natural Vitamin-E moisturize the skin to give a softer clear and healthier look. 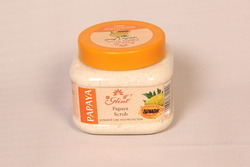 - Helps to rejuvenate your skin. - Gently removes all dead skin cells & black heads. - Opens the blocked skin pores. 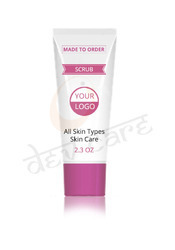 We offer a wide range of Apricot Face and Body Scrub which is made using best quality raw material that is why it suit for all type of skin. Zordan Herbals Apricot Scrub exfoliates dead skin cell, cleans clogged pores and removes black heads from skin. Refines the skin, leaving it glowing and fresh.